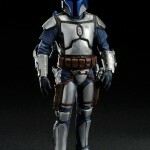 Kotobukiya has revealed new images for an upcoming Star Wars Jango Fett Attack Of The Clones ARTFX+ Statue. Check out the info below. Photos can be see by clicking the headline of the story. A Kotobukiya Japanese import! 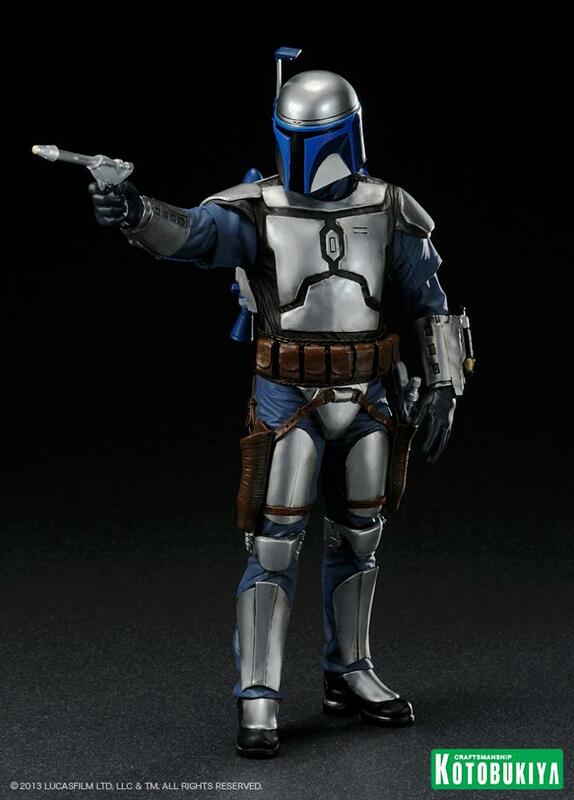 The incredible Star Wars ARTFX+ lineup has already featured some of the most iconic heroes and villains from the Star Wars films, and now it returns to one of the prequels for an intergalactic superstar bounty hunter, Jango Fett from Episode II: Attack of the Clones! 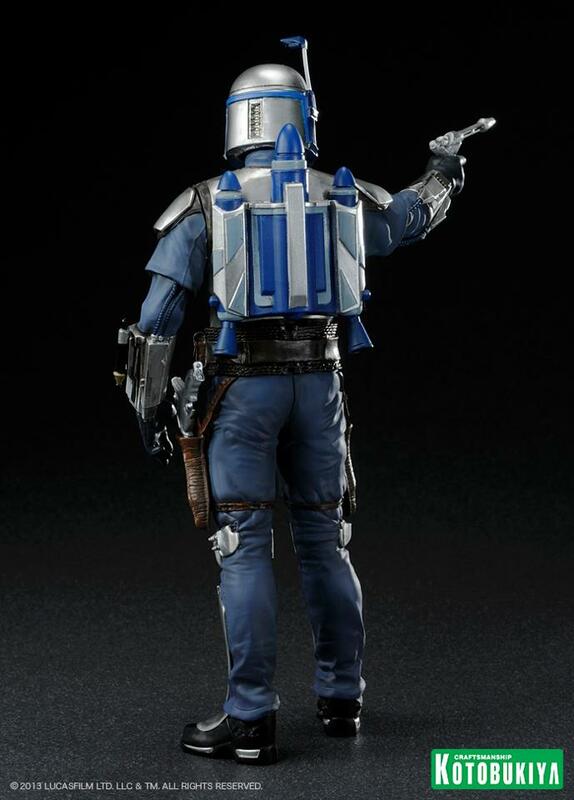 The armored Mandalorian had a distinguished career and he even became the genetic blueprint for the clone troopers of the Grand Army of the Republic (not to mention his clone ‘son’ Boba). 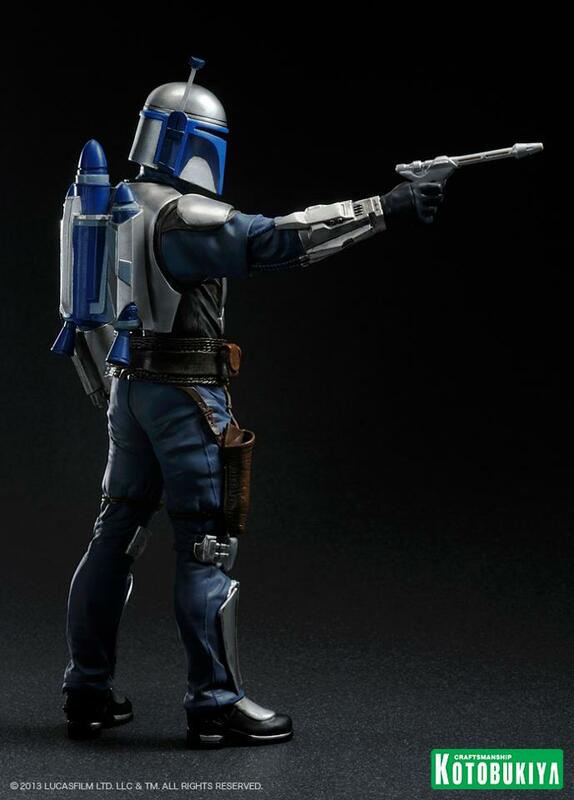 A fierce and determined warrior, Jango Fett always wears his full suit of Mandalorian battle armor and wields his signature dual blaster pistols. 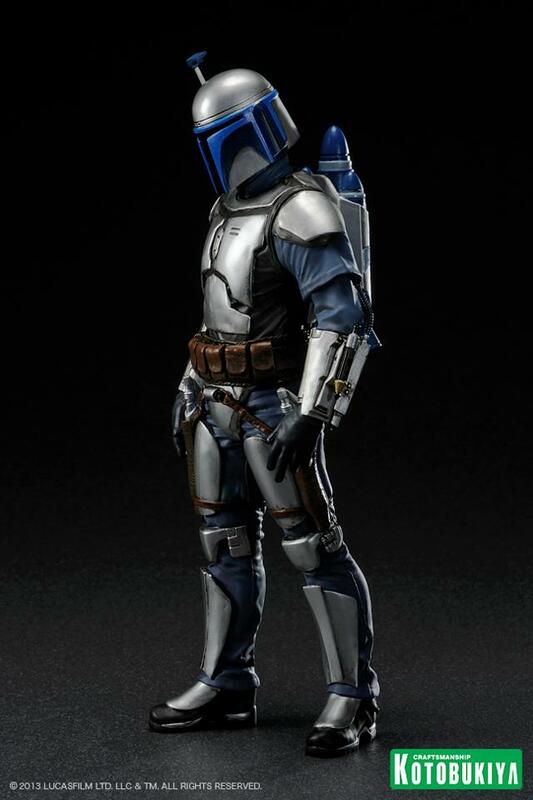 The silver armor plating over a full-length blue bodysuit is clean and well-polished, a marked departure from the more ragged look of his son. 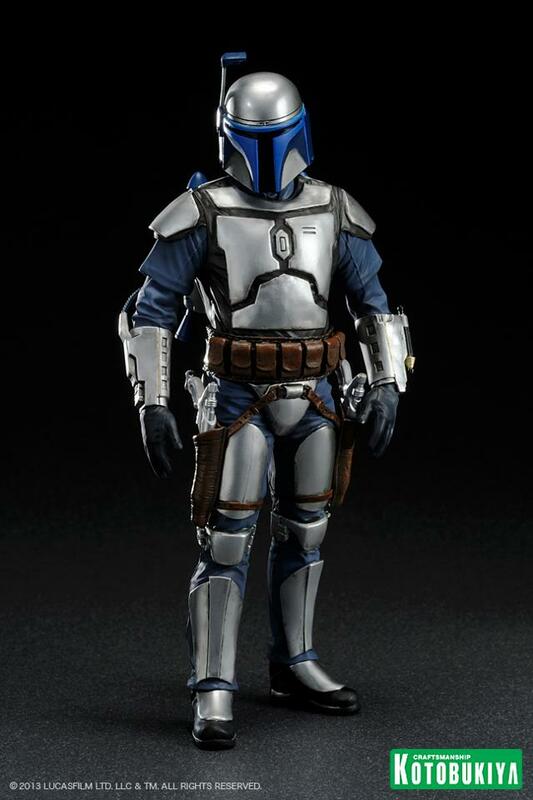 Jango’s armor even has all of the little details right out of the film from the belt of pouches to the wrist-mounted weapons, and of course one of the coolest helmet designs of all time! 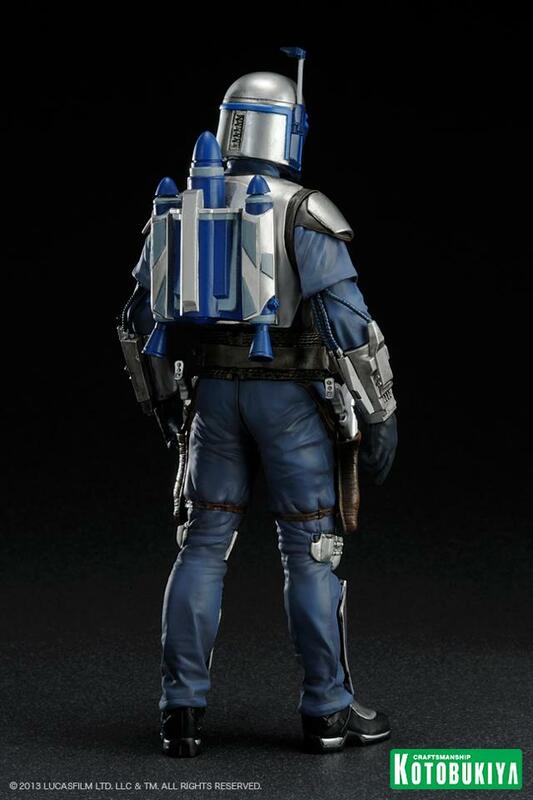 You can even display the bounty hunter from two different scenes in the film with interchangeable screen accurate backpacks from his battles on Kamino and Geonosis. 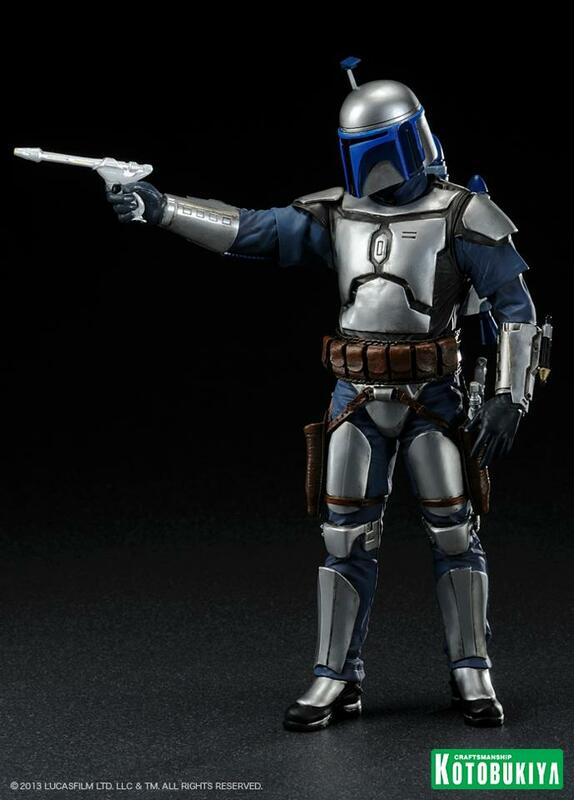 Finally, interchangeable arms let you pose Fett in a classic ‘draw’ stance or aiming his blaster pistol, while magnets in his feet give him extra stability on his included display base. ARTFX+ Statues are fun-to-assemble pre-painted snap-fit kits that can be easily put together in seconds without glue or modeling skill. 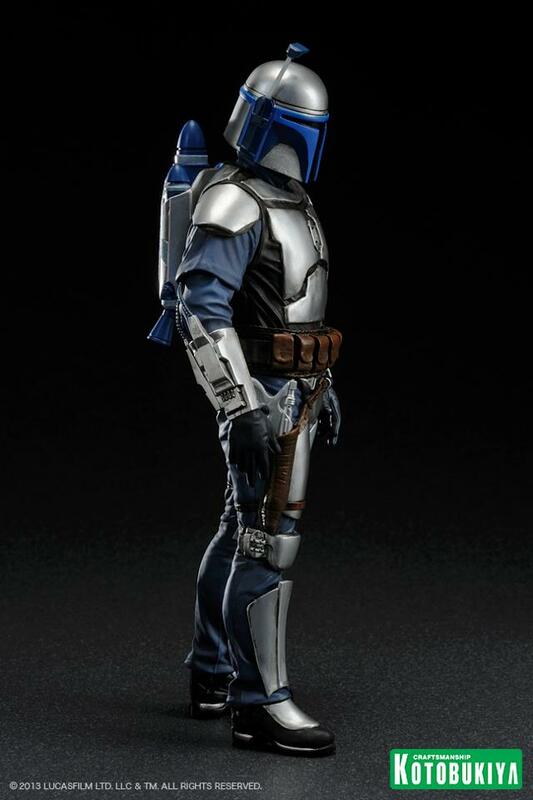 Jango Fett stands over 7 inches tall (1/10th scale) and looks great displayed alongside other Star Wars statues like the Clone Troopers and of course Boba Fett! 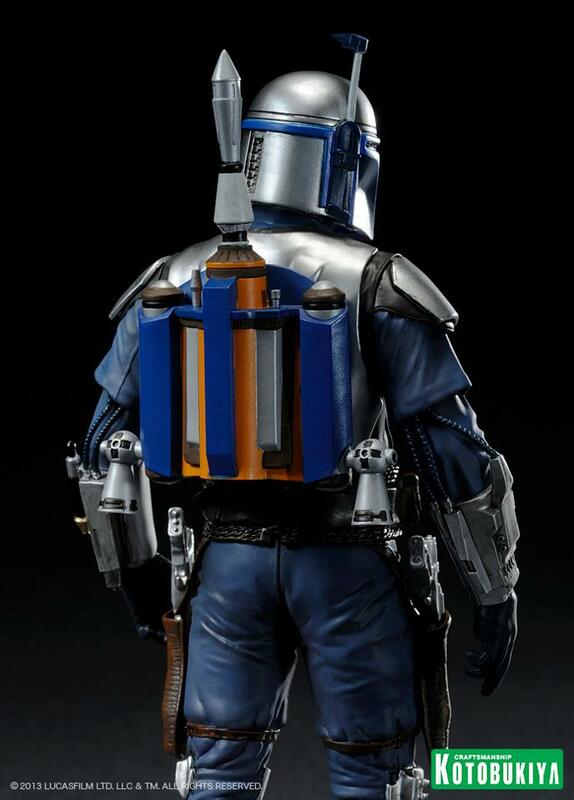 That's one slick looking Fett! Does anyone know the cost of these?